If a slippery substance such as oil, grease, or a household cleaner spills at your home or business, it should be cleaned up right away. As you undertake cleanup, be sure that adequate signage is used to alert customers, employees, or family that a slip hazard is in the area. Regular inspections and cleaning of high traffic areas or work areas where oil and grease are used should be made. Make sure there is sufficient lighting around your home, in parking lots, on sidewalks, walkways, and in stairwells to ensure they are visible. LED lights are best for commercial settings because they light a wider area and act as a deterrent for crime. Bunched carpet, loose tiles, and uneven flooring can all cause someone to trip and should be repaired. Potholes that are not filled present a hazard where someone could twist or break an ankle, or they could fall and break a bone. Water that runs into a parking area can quickly become slippery, and the source of the runoff should be dealt with to prevent any slipping. Handrails are an effective way to prevent the disabled and elderly from falling. Installed securely in stairways, ramps, halls, and bathrooms they can help people to have a sense of independence while at the same time eliminating the potential for a fall. Broken or loose steps in a stairwell is a recipe for a lawsuit if someone falls due disrepair. Make sure that stairwells are lit well and have something that will increase friction such as carpet or non-slip treads. Make sure lawn areas are kept mowed to 7 inches or less so that hidden items such as a sprinkler or tree roots are visible. Don’t leave old toys, tools, or portable sprinkles on the lawn, so they do not become trip hazards. Make sure to keep lawn areas and the exterior of homes free of stinging insects like wasps so that customers or family members are not stung. Clear your walkways of ladders, tools, or anything else that could be a potential trip hazard. Make sure walkways are even and have no large cracks. Repairs should be made if either one of these conditions exists. Seek medical attention for the injured party if needed. 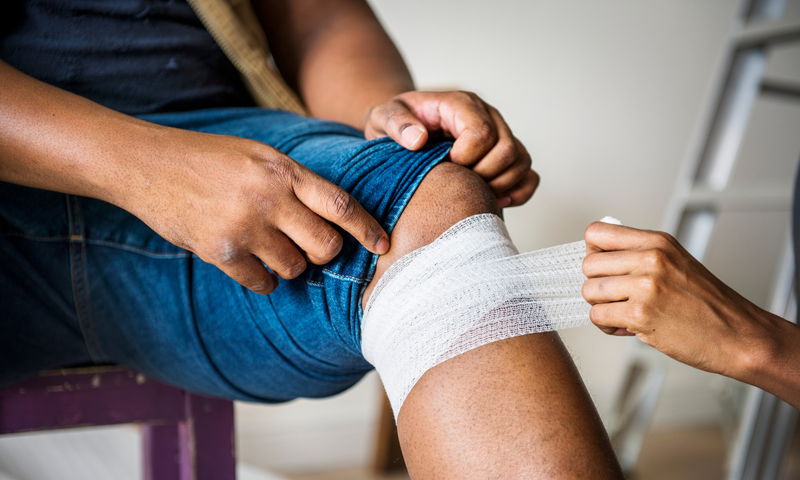 Gather critical information such as the name of the injured party, the time of the day the slip or fall incident occurred. The location of the incident. What was going on at the time of the accident (was it the injured party’s fault?) Take pictures of the scene and if possible, of the injuries sustained by the person who fell. If you or the person who experienced the accident need to file a claim, contact your insurance company promptly. Follow the insurance company’s instructions to document the claim correctly. If a severe injury occurs as a result of a slip or trip, contacting an attorney may be in your best interest. 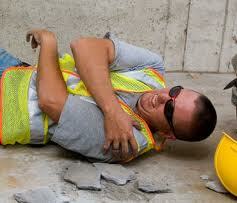 All that is needed to stop slip and fall accidents is to care enough to prevent them. Should you have any questions about Liability Insurance, contact us via email here or call us at (863) 646-LOCK. Do you live in an area where crime is on the rise? If you live in Lakeland, the answer is yes. According to the FBI, property crimes in 2017 were 48% higher in Lakeland than the rest of Florida and 58% higher than the national average. You’ve worked hard to purchase your home and furnish it; you need to protect your investments. 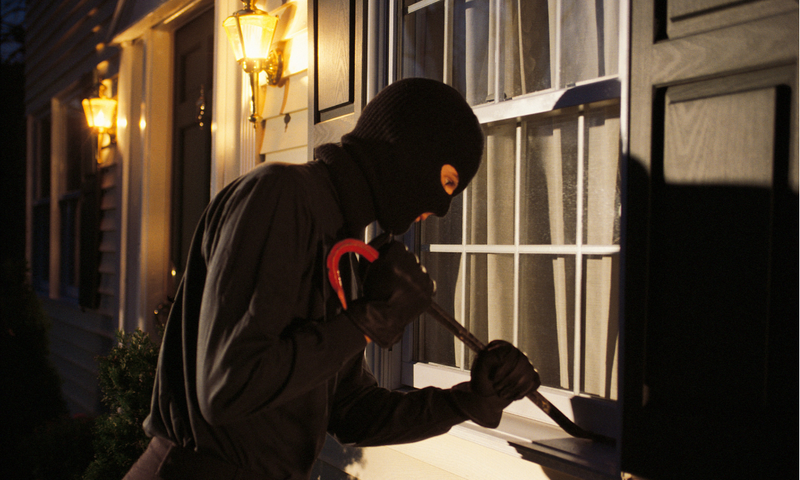 With that idea in mind, here are some tips on how to protect your home from would-be burglars. A recent study at the University of North Carolina ‘s criminology department found that burglars avoid homes that have security systems or that they believe have security systems. If the robber sees multiple cameras situated in various angles, they know there is a greater chance the authorities will apprehend them. Having a home security system can give you both peace of mind, and in some cases bring discounts on your homeowner’s insurance. If you don’t want to spend the money on a home security system, then signs and decals placed around the home can act as a deterrent, but experienced crooks may not fall for the ruse. Remember, most burglaries take place between two and three in the afternoon when most homes are empty. Be sure that if you decide to install a security system, it not only alerts the police but you as well. Many of the new “doorbell” type security systems have speakers that allow you via your smartphone to warn encroaching burglars that you are aware of the situation and that the police are on the way. Motion activated lighting on the exterior of your home is another simple way to deter burglars. Experienced burglars may spot motion activated lights and know how to get around them, but given the choice of a home with motion activated lights, or a neighbor’s house without them, most of the time criminals will avoid a home with lights. Make sure that your home has secure locks that cannot be easily picked; this in of itself can act as a deterrent to burglars. A big loud dog is also an excellent deterrent to burglars; they do not want the hassle of placating your dog and will move on. Make sure that things that could tempt a burglar are not in plain sight. Having expensive tools left out on the driveway will entice crooks to investigate further. If you have an expensive piece of art or collectible, don’t place it where it can easily be seen from the street. Likewise, easily visible TVs, computers, gaming consoles, and computers should be placed in areas that conceal them. If you have valuable jewelry or keep large amounts of cash on hand, you should be using a safe to protect them. The type could be a wall safe, drop safe, or a safe bolted to the floor. It is also an excellent place to store financial documents, data storage devices, and family heirlooms. If you are going on vacation a simple way to deter burglars is to make them think your home when you are not there. In the digital age which we find ourselves, it has never been easier to fool criminals. Smart devices in your home can be activated remotely through your home’s Wi-Fi even when you are not there. Smart plugs can let you turn lights, TVs, stereos, appliances and other things on and off while you are away giving your home the appearance that it is occupied. Be sure not to post vacation or travel photos on social media until you return home; this is especially true if you have a lot of friends or followers on your social media accounts. Make sure you document all your home’s valuables in the event your home is broken into, and items were stolen. 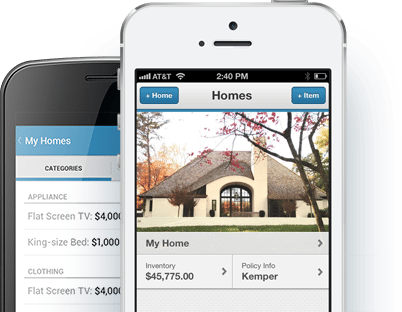 There are many apps that let you create a home inventory right from your smartphone and make the task easier. Keeping burglars away from your home is simpler than ever. 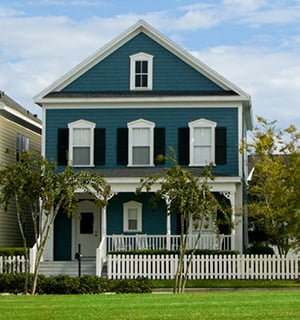 Should you have any questions about homeowners insurance coverage for burglaries, contact us via email here or call us at (863) 646-LOCK. Living in Central Florida your home is at risk from a number of natural things such as hurricanes, lightning, flooding, sinkholes, and tornados. Natural disasters are not the only thing that put your home at risk, a grease fire in the kitchen has burned many homes to the ground over the years. Faulty electrical wiring can be the source of a fire, and old natural gas lines have caused entire homes to be leveled by an explosion. With so many ways your home could be damaged, and your property lost forever, it is crucial that you create a home inventory list. Having a detailed inventory of your possessions can make things easier when you file a claim, and it can also guide you on what kind of coverage you want. Creating a home inventory list to submit to insurance is not a difficult thing to undertake, but you can’t cut corners when creating the list and still hope to receive reimbursement for your lost property. Here are a few steps. You should follow Nike’s advice when deciding on which room should be your starting point when composing a list “Just do it.” The room does not matter; what matters is that you start the process of compiling a list of your possessions. The logical choice would be a room with items which are the most valuable; but it really does not matter, what matters is you have started creating your list. In the digital age, we currently live in documenting your possessions has never been easier or had more ways you can capture them. Apps like Sortly, Memento and Nest Egg can help you create list organize them and record details about each item on the list. These apps use your phone’s camera to add pictures to the list. Apps are preferable to creating a physical list for two reasons. First, your phone is portable and likely to be on your person when you flee whatever disaster is damaging your home. Second, an app stores your list in the cloud, should you lose your phone in a fire or other emergency, you can log in to the app from another phone and retrieve your list. Be sure to include serial numbers, purchase dates, photos of receipts (if you have them), SKU numbers. With the technology available now there is no reason that your possessions should not be fully documented. Lock Insurance has its own app that has an inventory list built into it. Our agents have access to the data in the app and they can send the list for you to the insurance company in the event of a claim. Things like art, jewelry, antiques, and collectibles may have increased in their worth and will require individual coverage apart from your standard homeowner’s insurance. You should research these items value and speak with your agent about coverage before they are lost to a disaster. When documenting your possessions, it is easy to forget the attic or garage. Your tools, exercise equipment, golf clubs, and other valuable items may all be stored in your garage. Antiques and your children’s old toys may be stored in the attic, so don’t forget to climb up there and document items. Remember to document your clothes along with your other possessions. Record how many of each article of clothing you own such as jeans, shoes, and shirts. If you have a coat or other item of clothing that is valuable, be sure to record details about it. Items in your rented storage unit may also be covered by home insurance, ask your agent to be sure if your policy covers them. When it comes to financial documents, family photos, and other important documents, be sure to store them in a fireproof safe or safety deposit box. Make sure to include a copy of your list as a backup to your home inventory app. Creating a home inventory list doesn’t have to be a monotonous chore; it can be quick and easy if you just follow the above suggestions. Should you have any questions about home inventory list, contact us via email here or call us at (863) 646-LOCK. Lock Insurance has been in business quite awhile and have been through several hurricanes, but hurricane Irma really showed who and what was covered. A lot of insured do not realize how high their deductible was for Hurricanes. We also found that they did not know there was a lower hurricane deductible option. In Florida the 2%, 5% and 10% deductible is a calendar year deductible, which means that it is a percentage of your structure amount dwelling. For instance, $100,000 thousand dollar house with a 2% deductible would result in the homeowner being responsible for the first $2,000 dollars from a named storm event. 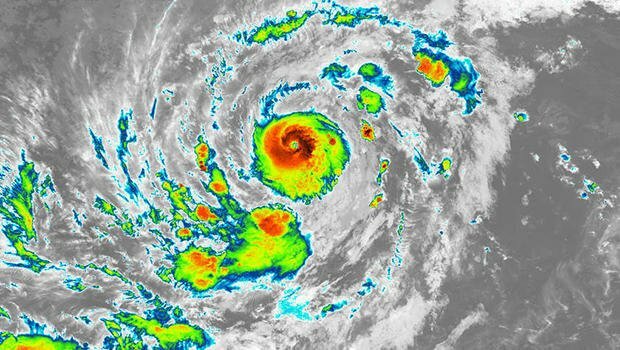 What happens if there are multiple named storms in a single calendar year and you have to file more than one hurricane claim? Once your deductible has been met, you have no further deductible responsibility for that year. In the past few years some carriers have started offering Hurricane Deductibles as low as $500.00 dollars. Contact us today and find out more so you will not be caught with High out of pocket cost for minimal difference in price when the next storm is coming in. I want a quote for $500.00 deductible for hurricanes. Click Here. Whether its damage due to a natural disaster, an unexpected accident or break-in, knowing when you should file a home insurance claim and what the consequences will be either way, is important. So When Should You File a Homeowners Insurance Claim? When should you file a homeowners insurance claim? What will that mean for your future rates or eligibility for a new policy with a new carrier? Here are some things to consider before contacting your insurance company. The first thing to consider when making a home insurance claim is whether your current policy will cover the claim or not. You should know exactly what your insurance covers before you ever need to make a claim; however, checking on the specific claim you are going to make-before contacting your insurance company-will give you the upper hand. Once you have determined whether you are eligible or not, the next thing to consider is whether a claim is necessary. There may be instances when the deductible for your particular claim is higher than the costs. In that case a claim would be a waste of time. You may also want to consider if the overall cost is worth any potential rate increases that may result from a claim. If you do decide to make a claim, arming yourself with all the necessary information will make the process go quickly and smoothly. Be sure you have all your insurance policy documents readily available. You should also gather as many documents that relate to the claim-repair estimates, police reports, and photographs. It is also a good idea to keep track of all contacts with your insurance provider, in case a dispute occurs. In most cases, making a claim on your home insurance is a good idea. Keeping calm, organized, and informed can make the process stress free as well, most importantly contact us for advice. Whatever your profession, protecting yourself with professional liability insurance is not just a smart thing to do, but a necessity in today’s litigious society. You have worked hard and put in years of education and work to get where you are in your career. Without the right coverage for potential negligence suits, you could lose everything you have worked so hard to achieve. General liability insurance can protect you from a wide variety of claims against you and your business, but will not protect you from the type of lawsuit that can result from the simple errors we are all capable of making. Nor will it protect you from claims made against you that are unfounded. Remember that even if there is no truth to the accusations against you, you can still find yourself in court defending yourself and your professional reputation against them at a very high cost to you. Those who provide a service or advice, or in any other way use their knowledge and experience to help others are in need of professional liability insurance. This includes things like errors and omissions insurance and malpractice insurance, both of which are types of professional liability. The similarity is that the types of lawsuits brought against professionals are usually based on actions, advice, or services that may not have caused property damage or direct injury but nonetheless can in some way be shown to be a result of the negligence of the professional. You do your best to provide good advice, to make sure that everything you do and offer to your clients is as accurate and helpful as possible, but everyone makes mistakes. And even when you didn’t make a mistake, all it takes is someone who is unhappy with the outcome to turn on you and put the blame at your feet. These lawsuits can cost professionals incredible amounts of money, even if you win. Having to pay out on such a lawsuit can easily bankrupt even the most well off professional. Professional liability insurance provides you with the means to defend your good name in court against accusations as well as to pay out on settlements when you are found to be negligent. Without it, you could find yourself not only out a lot of money, but your reputation could be on the line because you are unable to fight an unfounded lawsuit. Don’t take chances; protect everything you have worked so hard for with the right professional liability policy for your industry. Your insurance agent can help you to ensure you have the coverage you need to have complete peace of mind. How Much Homeowners Insurance Do You Need! Homeowners insurance is an essential part of owning a home and is a cost usually considered as part of the regular maintenance and protection of your house. In most places it is also required by your mortgage lender, but how much home insurance do you really need? The minimum coverage may suit some homeowners, but most need additional types of coverage that the minimum policies do not include. So what are the types of coverage home insurance policies typically provide, and how do you determine how much home insurance you really need? Do I Need Disaster Insurance? While disaster insurance that covers natural occurrences such as floods, earthquakes, and hurricanes can be expensive, if you live in an area where these types of events occur frequently the cost of replacing your home will certainly far exceed the cost of the insurance. In the case of disaster insurance it is a matter of balancing risk, financial situation, and peace of mind. Do I Need Additional Content Coverage Insurance? While most basic home policies include content coverage, the amount of this coverage and the cost of the deductible may not be appropriate for your particular situation. If you have a number of valuables, such as jewelry or rare items such as antiques, your basic coverage will not protect these in case of theft or damage. On the other hand, if you have few belongings, choosing a policy with a high deductible to save money may not be worth it, as the value of your items may not be much more than the deductible itself. Do I Need Theft Protection? Again, most basic home insurance plans do not offer extensive coverage for loss from theft or damage due to a break-in. If having the peace of mind that comes with this kind of protection is important to you, then this additional coverage will definitely be worth the cost. Do I Need Liability Insurance Coverage? If you have a home-based business or own a condo, having homeowners liability insurance is important. If a client had an accident on your property or your negligence caused damage to a fellow condo owner’s property, liability coverage would protect you from the potential costs associated with this, including legal costs. Seeking the professional advice from a Lock insurance expert can help you determine how much home insurance you really need.